18 Aug 2017 --- A 500mg dose of citicoline from Kyowa Hakko Europe (Kyowa) may significantly slow the progression of visual acuity loss due to glaucoma. This is according to a new study by researchers at the Sao Paolo Hospital Eye Clinic at the University of Milan, who followed 41 patients with progressing glaucoma – a disease that damages the optic nerve and can lead to vision problems and blindness – over two years. The Italian study targeted individuals with primary open-angle glaucoma (POAG), which is associated with increased eye pressure and a resulting loss of the vision field. Participants were given an oral solution that contained 500mg of citicoline from Kyowa. The results as were described as “astounding” by the company, as the mean rate of progression dropped dramatically compared to the two years prior to the study. The study also found that there was a statistically significant decrease in intraocular pressure. 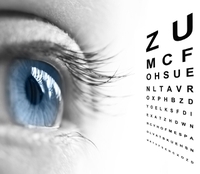 It is not conclusive that citicoline alone is responsible for the results; however, supplementation with citicoline may be beneficial in overall brain and eye health. Citicoline is described by Kyowa as a “vital nutrient” that helps the brain generate electrical impulses, care for healthy brain cells and protect neurons from free radical damage. It is said to support memory and cognitive function while aiding in the synthesis and maintenance of cell membranes. “Together with specialists in eye health and our customers [who believe] in citicoline benefits, we continue assessing the possibilities of future research and studies about citicoline efficacy for neuroprotection,” she adds. The study, “Citicoline Oral Solution in Glaucoma: Is There a Role in Slowing Disease Progression?” was published online in Ophthalmologica. A link to the abstract can be found here.